While our campuses have evolved from being exclusionary and intolerant, and publicly espouse the objectives of being welcoming, accepting, affirming, and engaging, the data on admissions, retention, and graduation clearly indicate that these goals have not been achieved. 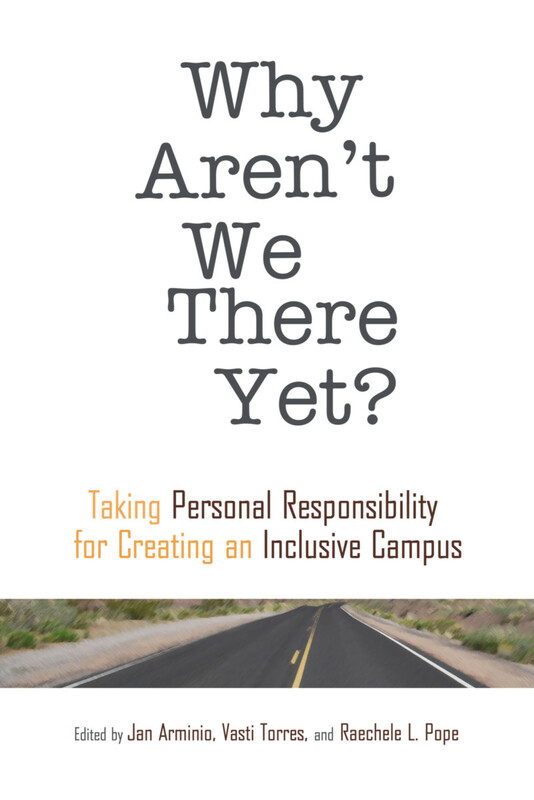 The contributors to this book seek to offer new insights to improve student affairs, emphasizing action that recognizes this is a complex and multi-faceted process, and beginning with the assertion that, without recognizing the influences of privilege and inequality, we educators cannot promote truly welcoming environments. This book focuses on guiding individuals and groups through learning how to have difficult conversations that lead us to act to create more just campuses, and provides illustrations of multiple ways to respond to difficult situations. It advocates for engaging in fruitful dialogues regarding differing social identities including race, ethnicity, religion, gender, and sexual orientation, to lead readers through a process that advocates for justice, and for taking personal responsibility for contributing to the solution. The book is framed around the five elements of the process of engaging in difficult conversations that not only advocate for change but also create change: self knowledge, knowledge of and experiences with others, understanding historical and institutional contexts, understanding how to change the status quo, and transformative action. "This collection of seven essays on diversity in American higher education examines practical policies of inclusion and explores the ways in which overly simplified efforts at assimilation have failed to deliver meaningful results in the creation of campus experiences that address the needs of diverse student populations. Topics discussed include personal and professional development and self awareness, relationship building, the historical context of diversity efforts, institutional culture, practical action versus policy, a diversity of solutions for a diversity of problems, and student affairs, values and inclusion. The contributors are academics in education and administrators in student affairs at US universities." "WRitings by student-affairs professionals on such topics as moving beyond talk on inclusiveness to action." Jan Arminio is Professor and Chair, Department of Counseling and College Student Personnel, at Shippensburg University. Vasti Torres is a Professor in the Center for the Study of Higher and Postsecondary Education (CSHPE) and an Associate Faculty member of Latina/o Studies at University of Michigan. Raechele L. Pope is Associate Professor, Educational Leadership and Policy, at the Graduate School of Education, University of Buffalo.